Our dreams of self-sufficiency and living off our own land are still far off but it isn’t stopping us from finding out how self-sufficient we can become from where we currently are. This weekend has seen our kitchen step up into full productivity mode. We have begun making our own bread daily – or should I say our ‘daily bread’? (You didn’t see that one coming, did you?). We have worked out that by buying the flour and making our own bread we will reduce our shopping by approximately £20 a week. For example, we make four loaves a day which costs us approximately £1.40 for the flour and yeast, instead of buying three shop loaves a day at £1.35 each. This is a huge saving for the sake of a few minutes work each day! If you want to bake your own homemade bread you can find a selection of bread recipes here and we are adding new ones constantly. 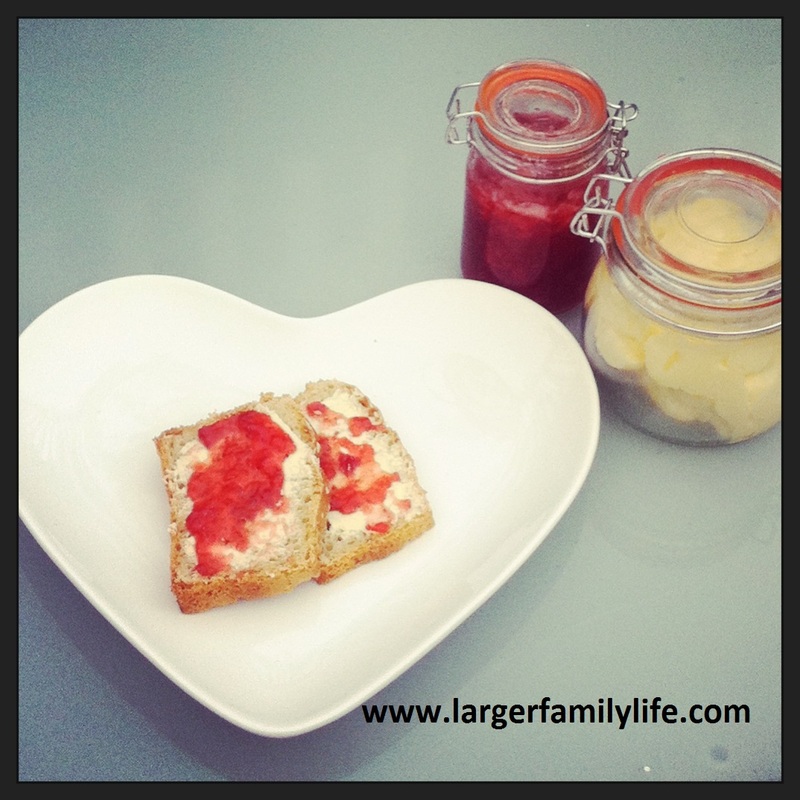 … and you can click here for the Mixed Berry Jam recipe shown in the photo above. Recipes for the rest, including a tutorial on making homemade butter, will be coming up soon. You will have to watch the new series of ’16 Kids and Counting’, airing later this spring, to find out more! Looks like we’re not the only crazy large family going travelling!